Since 2019, the investment has gained momentum, many projects have been gradually completed and put into use. The investment picture will be brighter, the call for investment is focused more on "quality", i.e. 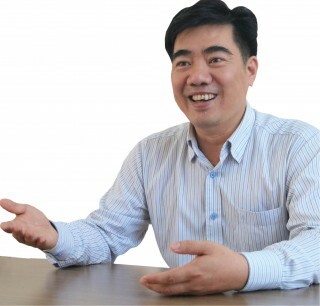 on high-class, international-brand investors…, Mr. Phan Thien Dinh, Director of Planning and Investment confirmed. Certainly, not all the projects were implemented and fulfilled in 2018, but 2018 was the year with many key projects that were fulfilled and put into use after the time of construction, but encountered some difficulties and received attention to solve by the province. Worthy of note is that the Project of Vincom Trade Center and Vinpearl 5-star Hotel of Vingroup with a total investment of VND 1,500 billion was put into operation, contributing the luxury to the south Hue City’s central area. Next, Phong Dien Solar Power Plant Project invested by Gia Lai Electricity Joint Stock Company, with a capacity of 35MW, a total investment of VND 870 billion was completed and put into use, paving the way for clean energy investment. 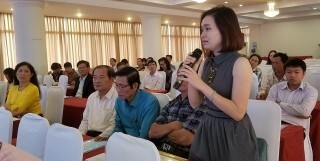 This is also the area that the province prioritizes the call for investment, and there are currently some other investors who have researched and formulated the investment projects in Phong Dien. 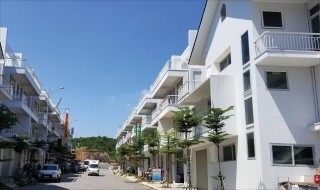 For phase 2 of the project of Laguna Lang Co Resort, after the policy of raising the total investment capital to USD 2 billion had been approved by the Prime Minister, the investor completed the construction of Laguna Park, cumulated capital to implement phase 2 to late 2018 with more than USD 50 million. 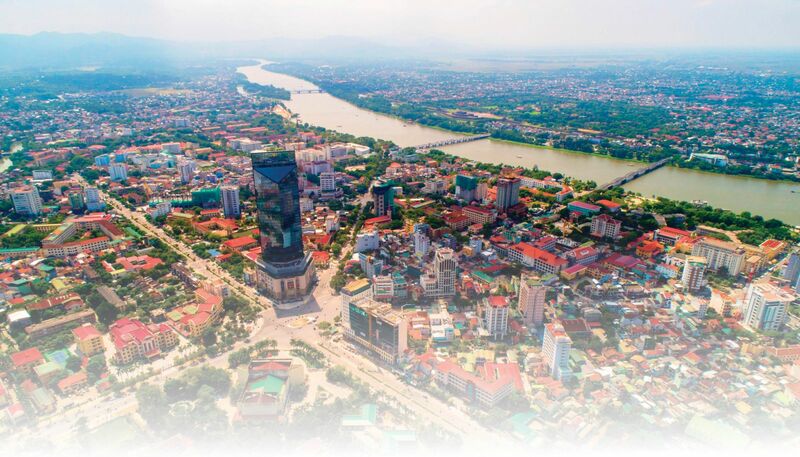 The Management Board of the provincial Economic and Industrial Zone granted the 11th amended Investment Certificate to the investor with a total registered capital of VND 45,103 billion (equivalent to more than USD 2 billion). This forms a good basis for the investor to promote the implementation of the next projects in 2019. Other good signals are that some projects with slow progress in recent years have been restarted such as Project of Hue International Hospital at No. 2 Nguyen Tri Phuong; Project of Construction and Renovation ofThuan Hoa Hotel at No. 7 Nguyen Tri Phuong is currently being restarted with VND-400-billion total investment expected to be implemented in 2019 and the following years; Project of My An Hot Water Tourist Area, which was resumed with an investment capital of more than VND 500 billion after a period of difficulties, is also ready to be carried out in 2019. Nguyen Kim Supermarket Project is now completing the plan to change the architectural structure and currently under construction and so on. In 2019, in addition to continuing to support the implementation and operation of 3 hydropower plant projects such as A Lin B2 under A Lin 2 Hydropower Joint Stock Company with a total investment of VND 600 billion, Rao Trang (Moon Fence) 3 with a capacity of 13MW and total investment of VND 408 billion, Rao Trang 4 with a capacity of 14MW and a total investment of about VND 494 billion, the focus is on supporting the large projects with the prospect of good contribution to the provincial budget such as Dong Lam Cement Plant’s Cement Grinding Station No. 2 with a capacity of 500,000 tons of cement per year and a total investment of VND 400 billion, Project of Cristobalite Material Factory under PHENIKAA Mineral Investment and Processing One-Member Company, Ltd in Phong Dien Industrial Zone, with a total registered capital of VND 488 billion. The commercial sector focuses on implementing many projects. In addition to Phase 2 of Laguna Lang Co Resort, there will be a lot of projects to be implemented such as White Lotus Event and Service Center at the lot on ​​Hoang Hoa Tham Street, with a total investment of VND 135 billion. Hue Cinestar Cinema Project of Hue Star Cinema-Sports and Entertainment Company, Ltd. on Hai Ba Trung Street has a total investment of VND 150 billion. Project of Lang Co Resort Beach Eco Villas of Hong Phuc Tourism Construction Investment Company, Ltd. has a total investment of VND 216 billion. Notably, the project of Minh Vien Lang Co International Resort under Minh Vien International Joint Stock Company will be put into operation in the first phase in 2019, with a total investment of VND 7,700 billion / VND 1,500 billion of thetotal investment capital of the whole project. Department of Planning and Investment judged that this is a big and high-class project; when it is completed, high-class customers will have more options upon arriving in Hue for tourism and relaxation. In addition, many other projects will be supported such as the Project ofMarine Park and Hue Museum of PSH Group in Vinh Thanh Commune (Phu Vang), with a total investment of about VND 1,000 billion. This project was completed in the procedures and will be implemented in 2019. For the Project of Huong Ho Tourist Area of ​​Hue Spirit Sanctuary One-Member Company, Ltd., although its total investment is not more than VND 200 billion, when completed, it will be the first 6-star high-class tourism project of Hue. The project investor has connected and received enough guests for a long time after putting it into operation. 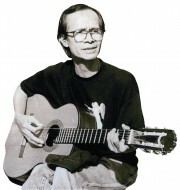 According to Mr. Phan Thien Dinh, in previous years, the call for investment was quite difficult, many projects were unfinished. The causes could be both subjective and objective, but were gradually overcome and removed to implement. This is suitable for the enthusiastic investors with goodwill. However, for the investors that lack capacity or have intention to occupy land, prolong the project for too long without implementation, the province is determined to withdraw the project. In the context and with the objective towards friendly investment projects with little environmental impact, in 2019 and the coming years, priority will still be given to projects that meet the above criteria, with the focus on the projects relevant to tourism, service, clean energy, high technology, assembly, electronics and so on. Hue urban center will focus on big, high-class brands with specific commitments, especially the commitment to manage operation with international brand managers. 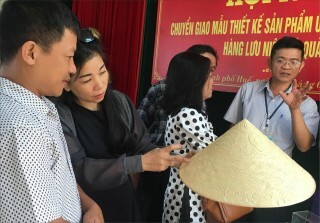 Accordingly, the province has issued the list of 13 projects calling for investment in the field of tourism in Hue City like 22-24 Le Loi lot, expected to have a total investment of VND 700-800 billion. The investor must be an enterprise with international brand and sustainable capacity, not just investors with a few projects. Chan May - Lang Co area still has about 100 hectares, stretching from Lang Co to Lap An Lagoon, the province is reserving it for big investors with the projects related to high-class tourism with 5 stars or more. Particularly for the provincial Culture and Information Center, the province expects and issued a policy to call for investment in building an international conference center, with a scale of 1,000 rooms and building urban institutions in association with tourism. Some investors have learned about it but have yet to meet the province's requirements, so their investment proposals are under consideration. The new point in calling for investment in 2019 by the Department of Planning and Investment is specific, detailed in each project, each work, not just introducing this project or the other one ... .Therefore, when there are investors, the relevant departments and agencies should plan to support investors and help them implement the project favorably. If any problems come up, there is a need for coordination to resolve thoroughly. If any local authorities or units deliberately delay, cause difficulties for investors, their heads will bear responsibility and be handled. Mr. Phan Thien Dinh expects that with the strong determination, the investment picture in 2019 and subsequent years in Thua Thien Hue will be brighter. 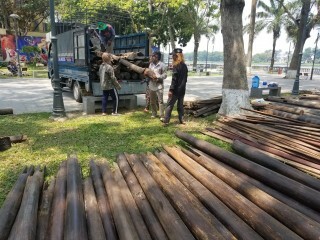 According to the Department of Planning and Investment, the cumulative implementation of off-budget projects until the end of 2018 reached more than VND 14,800 billion; the plan for implementation in 2019 is more than VND 10,300 billion, and the projects having province-managed budget capital with cumulated performance by the end of 2018 is over VND 1,700 billion; the implementation plan for 2019 is about VND 722 billion. 2018 is the peak year of implementing investment projects including budgetary and off-budget capital.